What If Fictional Writers Participated In NaNoWriMo? Even if you’re not participating in National Novel Writing Month, you’ve probably heard quite a bit about what happens on November 1st. Writers everywhere set out on a quest to write 50,000 words in thirty days, resulting in all sorts of adventures in typos, plot problems, and writing marathons with friends and fellow participants. 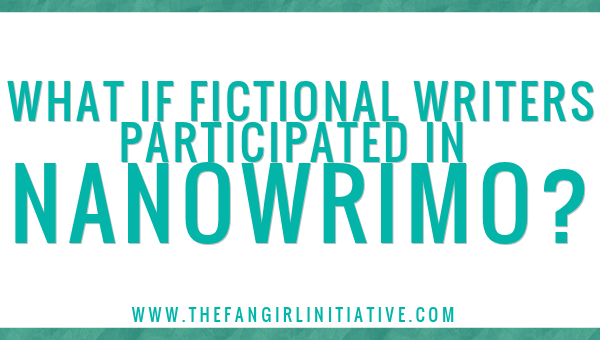 But what if fictional writers participated in the fun of NaNoWriMo? What would they write? Would they be a NaNo rebel? Who would they recruit to join them? Since his writing project is technically a memoir, There And Back Again would qualify our dear Mr. Baggins as a NaNo rebel. Though he would likely brainstorm his ideas with close friends, ultimately he would take on NaNo alone, choosing the comfortable solace of his study to finish his book in relative peace. Jo March would probably enjoy the good-natured competition brought on by NaNoWriMo. Her project would be a work of fiction—probably a spectacular adventure with a dash of mystery and romance. Jo would recruit her sisters and friends to act out scenes from her stories and help her through the tough spots of writer’s block, but her writing would mostly be done alone. Amidst the business of solving cases and caring for his patients, Watson might be up for the challenge of transcribing cases and adventures in a month. Like Bilbo, he would be something of a NaNo rebel since his project would focus on real-life events rather than fiction. He’d talk about his projects with close friends but would likely write alone. Sherlock, however, would try to find out what is being written about him when Watson isn’t around. Which fictional writer do you think would participate in NaNoWriMo? 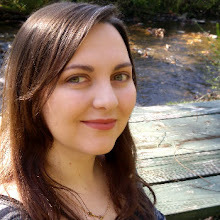 Jameson C. Smith is a twenty-something Christian who has been in love with stories since she was a little girl. An ardent bookworm and self-proclaimed nerd, she enjoys writing, baking, and going on adventures.